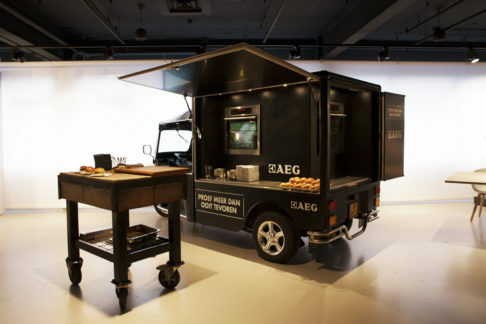 The Streetfood e-Tuk is compact and efficient, without compromising in impact. The e-Tuk is 100% electrical, which makes it ideal for both indoor and outdoor use. 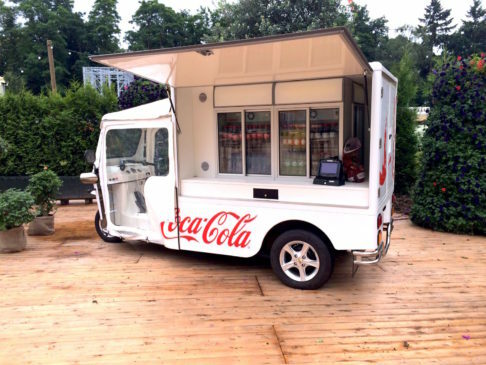 We have already used this compact, distinctive mobile food solution many times, for example for brand activation campaigns for Coca Cola, AEG Electrolux and Naturalicious.